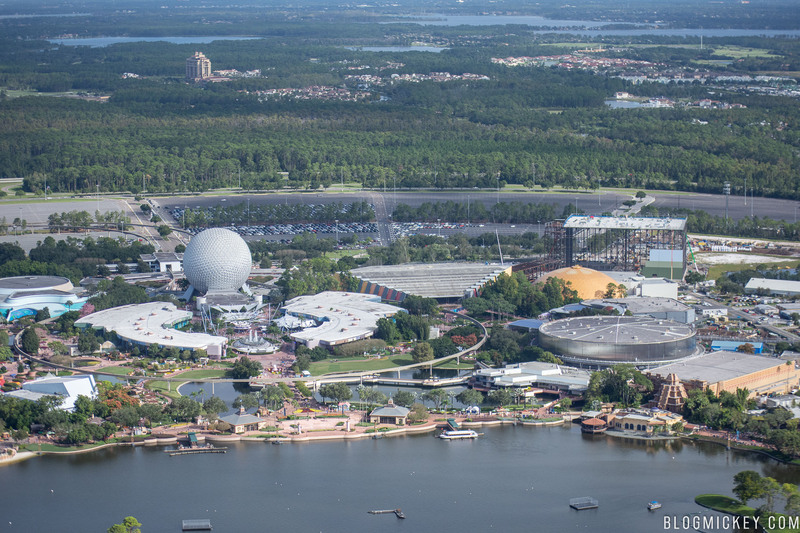 We took to the skies this morning to check out some ongoing construction projects around Walt Disney World. 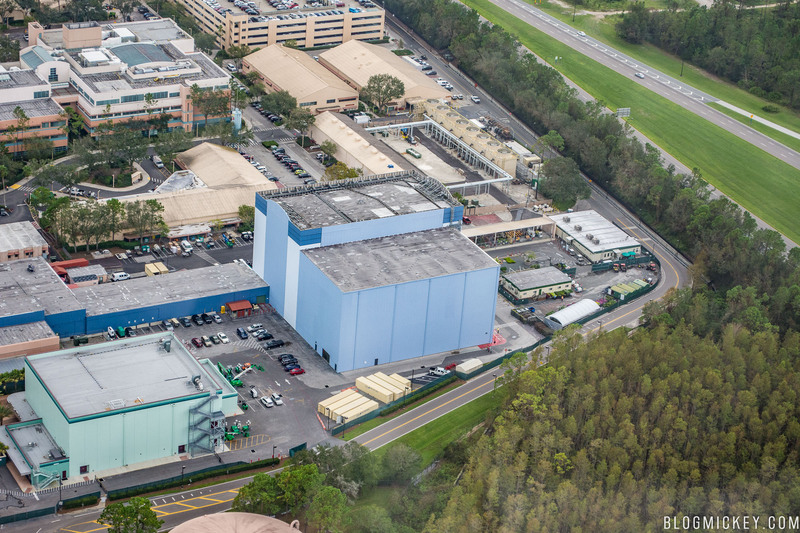 One project that’s progressed quickly and garnered a lot of attention along the way has been the Guardians of the Galaxy roller coaster coming to Epcot. 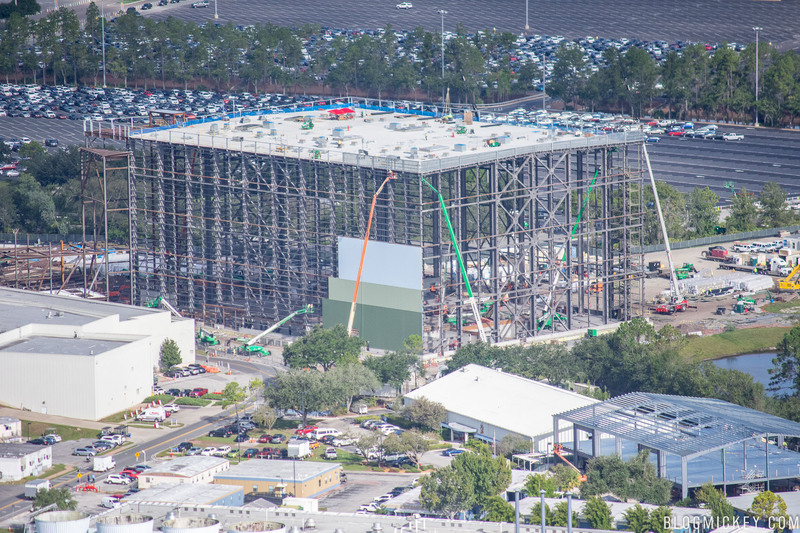 We first reported that the exterior walls had been installed just a few days ago. Today, we noticed new colors had been added to the building. 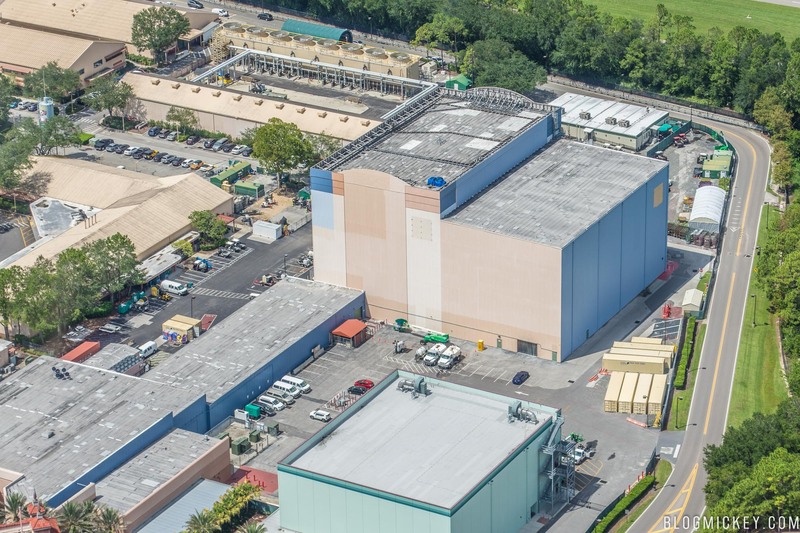 It appears that Imagineering will attempt to blend the building into the Central Florida sky by adding a light blue to the upper half of the building. A “go away green” fades away after roughly the height of the surrounding trees to let the blue blend the rest of the building into the sky. 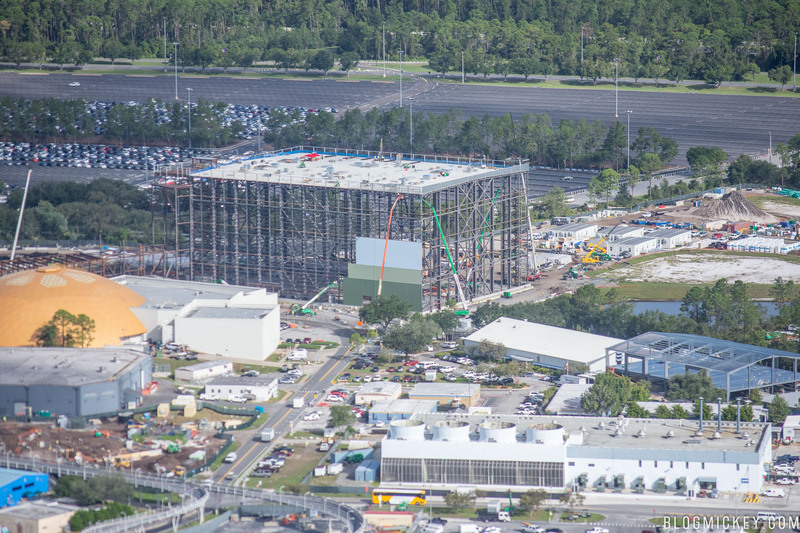 First, here’s a look at how the Guardians of the Galaxy gravity building has affected the Epcot skyline from the air. 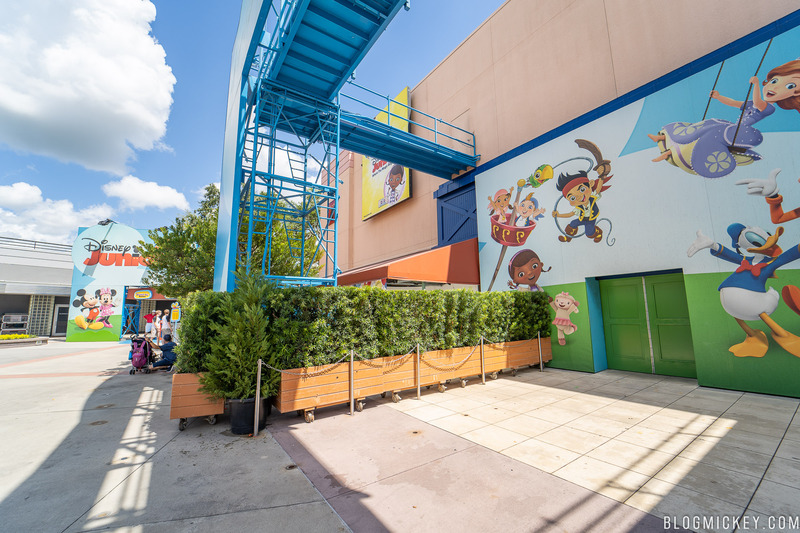 A closer look at the gravity building reveals the new color added recently. 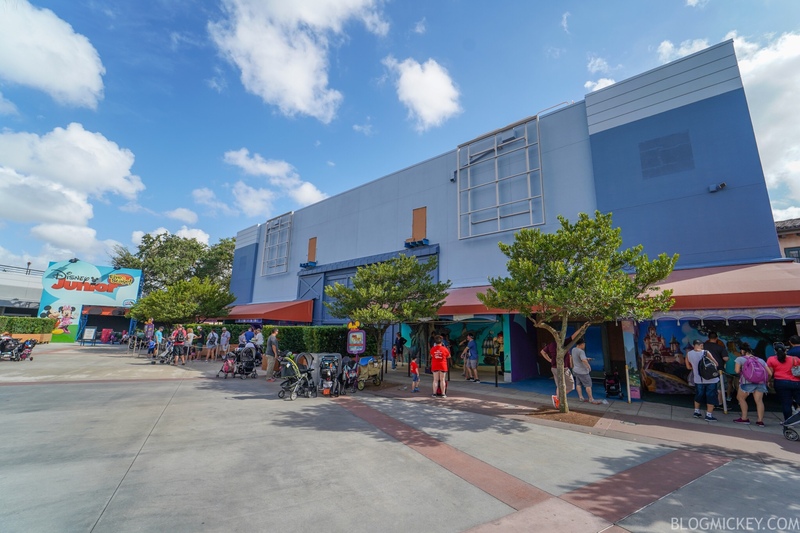 Imagineering appears to be quite fond of the “sky blue” color as they’ve recently repainted the Disney Junior Dance Party soundstage and the Rock N Roller Coaster building before that the same color. 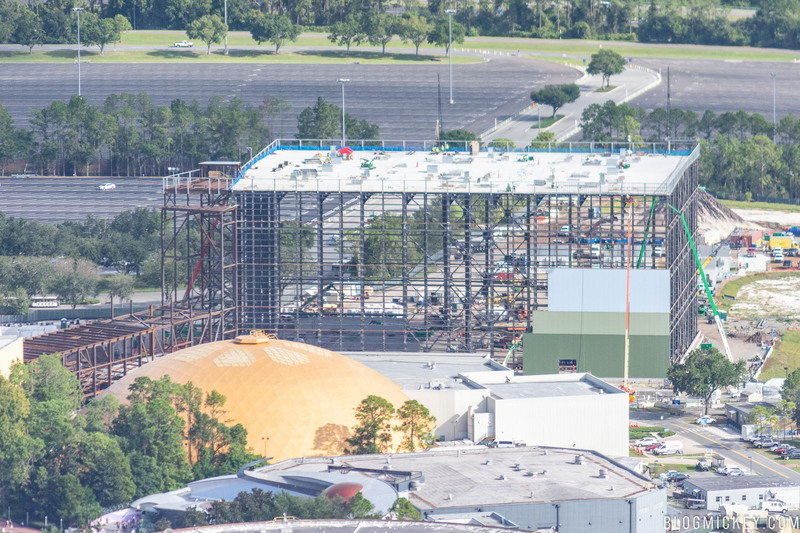 The Guardians of the Galaxy roller coaster will debut in time for Walt Disney World’s 50th Anniversary in October 2021.